Since last week i have been thinking of what i haven’t eaten for ages. Then egg rolls just crossed my mind. I then remember how my granny used to make the best egg rolls in the world. Since i am a photocopy of her signature, i keenly learned all her little techniques. Today i am enjoying what she thought me. So today l am havibg all of the basic ingredients in my pantry fir egg rolls , so i didnt bothered to go to the grocery for ingredients. I hate buying little things l can make at home . The bakery close to my house, just 5 mins walk. Thats not my cup of tea since i love cooking and baking. To get breakfast ready and on time, i had to make egg rolls since most of the basic ingredients were readily available in the kitchen. It took me just one hour to make this delicious snacks which my family enjoyed. It was a weekend and we love eating outside behind the house while conversing. In Cameroon its consider as one of those classy snack and it is very popular . Some pwiple just aviid making it thinking the dough is very hard to make. 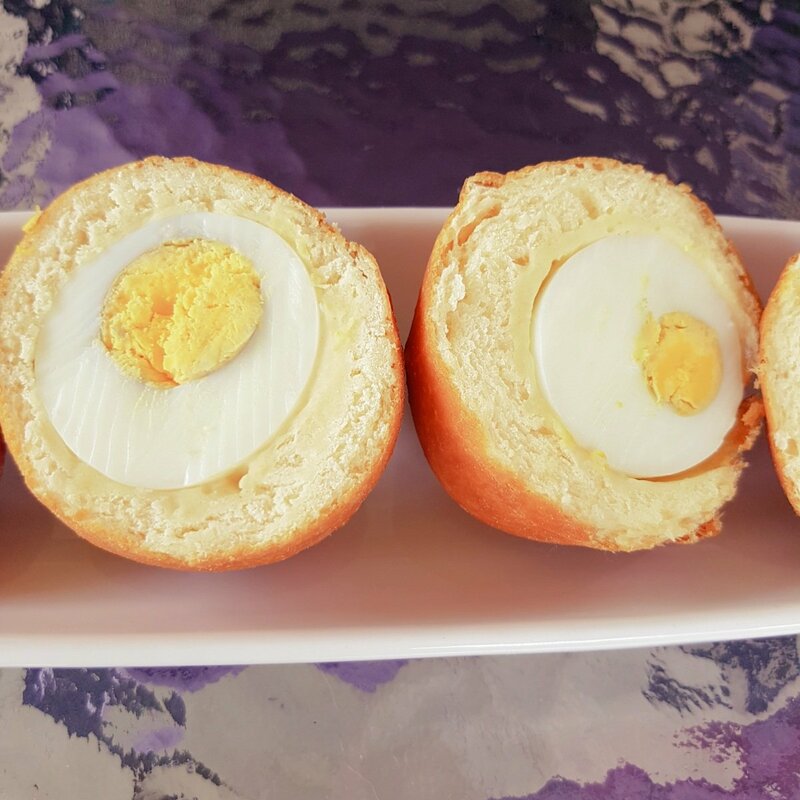 It is very similar to scotch eggs but unlike scotch egg which is made with minced meat and egg , Egg roll is made from flour dough and egg. That makes it very delicious and nutritive especially for people who dont eat meat. 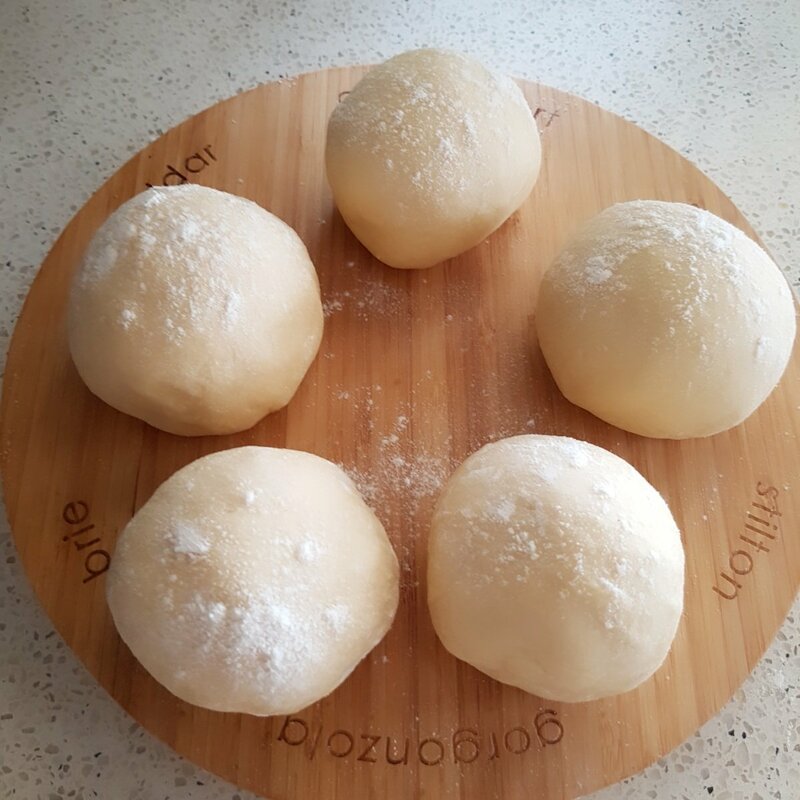 It’s really good for vegetarians.The dough is made almost the same way as doughnut dough is made Non-sticky’. and with little sugar unlike donuts which is sweeter. 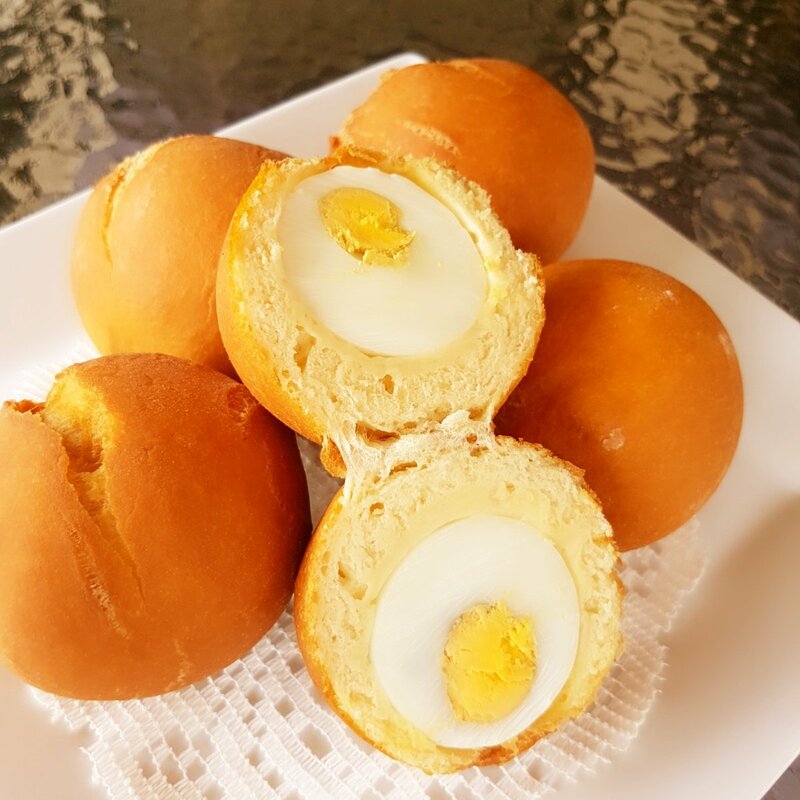 It’s very attractive with the egg yoke and egg white in the middle of the dough. 1. Boil the eggs for about 7mins till semi hard boiled. 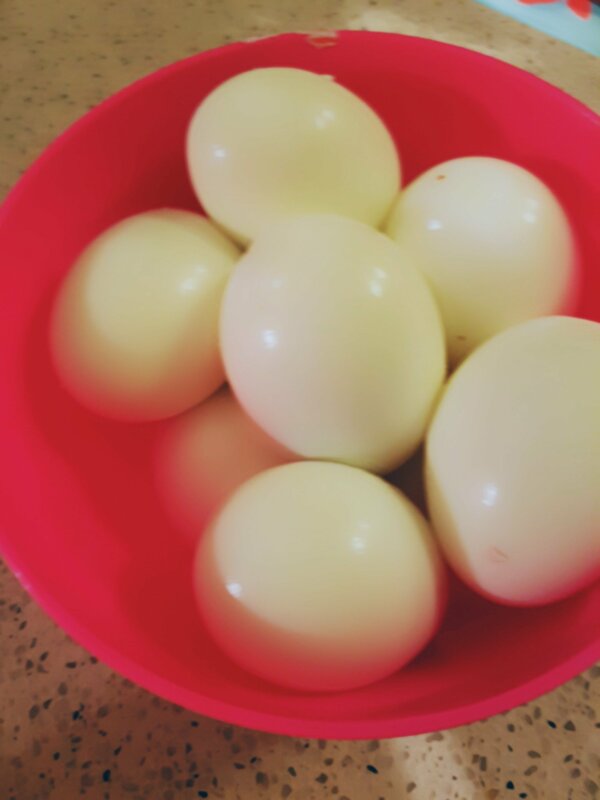 2. place the semi boiled eggs in cold water. To facilite the taking off of the shell. 3. Dry ingredients first; Sift flour, add sugar, baking powder, and salt . 4. Mix thoroughly add oil , margarin or butter. 5.Work it with the tips of your fingers untill butter is unnoticeable in the flour. 6. Make a well in the middle and add water bit by bit as you mix with your finger tips. 8. 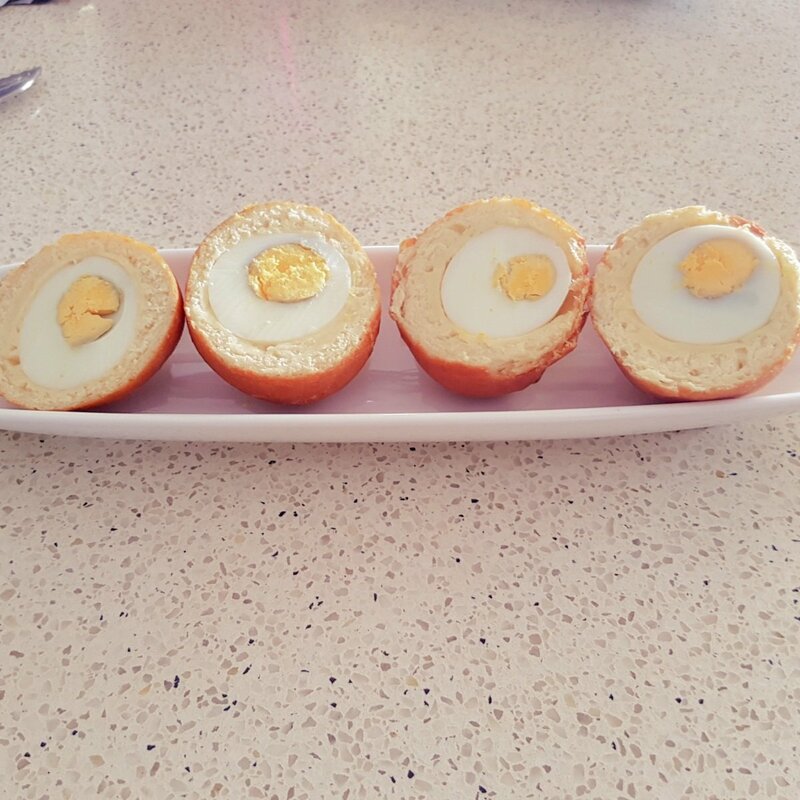 Tuck egg into each piece and roll. Make sure you give it a very round shape with your palms . Pre-Heat your Canola oil in a deep frying pan or fryer. Make sure you fry in medium temperature. Ensure egg roll fry well on the inside and out . You will have a golden brown egg roll with a very soft and fluffy inside. It looks so irresistable and delicious. Enjoy and subscribe to my youtube channel . Next Post CAMEROONIAN FISH ROLL RECIPE.